Find out what happens when you combine your personality and expertise into a simple talk that will serve more people and grow your business. Imagine shining a light on your unique gifts, your personality, and your expertise, so that you’re attracting highly-qualified clients… clients who dig you, just for being you. Imagine speaking & generating a rush of revenue whenever you want it… so you can secure your dream lifestyle, your family, and your future. Imagine being able to reach more people with your message, getting highly visible in a way that honors your lifestyle (and your energy). And serving in the world in a way that only you can – creating a ripple effect that extends outward, far beyond your own reach. The Rock Your Talk program is an exciting way to give you access to Kristin’s simple, high-impact strategies. If you’re ready to turn who you are, and what you know into a powerful talk that will impact audiences and create big paydays for your business, then you’ll want to pay close attention. Kristin is opening the doors to the Rock Your Talk Program, for a limited time. In this program, she’ll walk you through the same 5-step process Kristin herself used to build a simple one-hour talk that has generated over a million dollars. She’s known as the “Rock Your Talk” girl because her own simple, 1-hour talk created well over a million dollars for her business. She’s the founder of SpeakServeGrow.com, the host of the Rise Live Event, and creator of the new Rock Your Talk program for entrepreneurs. Kristin is here to help you package your personality and your expertise into one rockin talk that creates a rush of visibility, clients and cashflow for your business. The key to successfully standing out and getting noticed, is by being totally, authentically… and dare I say unapologetically YOU. So before you craft your talk, you’ll get crystal clear about your unique brand personality, and how you want to express it. How to put your own “brand personality stamp” & style into your content, your rockin talk, & how you deliver it. The experience you want to give audiences, and your Rockin Plan to make it happen. SNEAK PEEK INSIDE: The Four Personal Motivators, 12 Brand Personality Blueprints, Brand “Gap” Assessment, The Rock Your Brand Planner: Your Customizable Brand Personality Blueprint. Next you’ll turn your expertise, into a simple signature system that you can be known for in the market. This is super-easy to do, and it helps you quickly & effectively get known, communicate what you do, and how you help, so you can make a bigger impact. Better yet, your branded signature system will be the foundation for your talk content, and the core teaching points of your own rockin program. SNEAK PEEK INSIDE: The Six-Figure Signature System Creator, Rockin Talk Title Templates, Hot “Talk Take-aways” Template, How to Create Content That Converts. Big pay days don’t come from a “nice talk”… They come from a “well-designed talk” that serves in a big way and generates big income at the same time. You’ll easily design each key element of your talk, from the way you hit the stage, and get people’s attention, dazzle the audience with your thought-provoking main points, all the way through to a comfortable offer and close. Because your content, personality, brand, and delivery is your own, you’re talk is still totally & unmistakably YOU. And because you’re using the rockin talk structure, it will be designed to give you the proven results that you’ve seen come for me and my clients too. 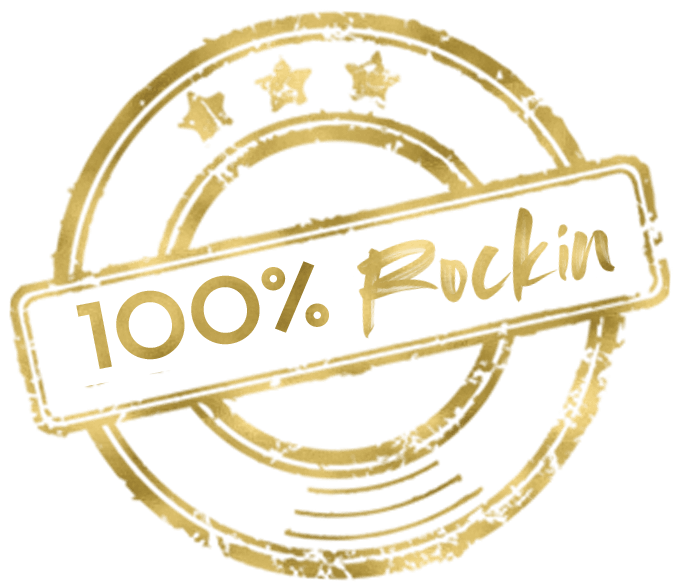 SNEAK PEEK INSIDE: The “OMG I Sound Amazing” Bio Template, “This Talk Rocks” Talk Introduction Template, Wow Demo Idea Generator, Personal Story Path, Teaching Point Template that Serves & Sells, 9-step Detailed Rockin Talk Template to SpeakServeGrow. Now that you’ve got your brand, system, and talk nailed, you’ll dive into delivering your rockin talk. Learn simple ways to engage people, get the room interacting with you, and have the room so ready to take the next step, that the selling is pretty much secondary at this point. This session shows you how to create a connection and rock with the room from the very moment you hit the stage all the way through to your comfortable close. Learn simple ways to shift your audience’s energy, captivate your audience, and turn any room full of strangers, into fans and happy paying clients. SNEAK PEEK INSIDE: Prepare the Room to Rock, 4 Stages of Rocking the Room, Six Simple “State Shifters” to Win Back the Room, 9 Ways to Make a Cold Room Hot for Your Offer. And for the big finale, you’ll create a rockin offer you’re comfortable and confident delivering. Plus, you’ll know how to set up your talk for bigger paydays BEFORE you set foot in the door. You’ll also learn the highest converting offers and why they work. Discover several different pathways to profit from inside training & workshops for companies, to products and programs for individuals and entrepreneurs. Simply choose the way that works for you, your brand, your business, and your strengths. SNEAK PEEK INSIDE: The 9-Step Comfortable Close, The Magic Formula for Order Forms that Convert, Rock Your Offer Creator, Easy-To-Use Closing the Room Sound Bytes, Rock Your Talk Steps In Action: watch the unedited video of Kristin speaking & selling at a live event. Because Kristin Likes to Get A Little Crazy! This new twist on Command Any Room was released to rave reviews last spring! The program is designed to help you package your personality and your expertise into a system and talk you can get known for in your industry. Enjoy Kristin’s “30 Gigs in 30 Days!” speaking gig system so that you’ll know exactly how to approach event organizers, what to say, and why… so you can start booking your calendar with high-visibility speaking gigs right away! Any one with a message can get gigs immediately… so let’s get rockin! INCLUDES: Full Length Get more Gigs Training, Booking Script, Talk Promotion One Sheet Template, 30 Day Action Calendar, 30-day of hot tips and support straight to your inbox. Follow our simple system for creating your own six-figure product or program you can sell at the end of your talk, whether you’re speaking online or live on stage. This course shows you how to turn your system into a program, and promote it, so you can generate big pays, even while you’re at hanging at home in your pajamas. INCLUDES: Your Lifestyle, Your System, Your Content, Your Promotion, Your Profits. Doesn’t matter if you feel like your memory is great, or not-sohot… either way you’ll easily learn how to memorize the points of your talk so you know it forwards, backwards, in and out of order. Now you can drop your notes, connect with your audience, and focus on delivering a great talk…. rather than worrying about what you’re supposed to say next. When you know your talk that well… you’ll be ready to rock your talk, comfortably connect with your audience, and close the room with confidence. INCLUDES: Recall 30, 40 even 50+ items forwards and backwards! Long Term Memory Power! This program is not a quick fix and it’s not a party trick either. This is a real, proven system (that’s been around since 500 bc) for recalling information now, AND LATER! No-guessing, Verifiable Results! Our pre-and post-workshop memory exercises, identify exactly where you’re starting & see objectively where you finish, so that you can see how far you’ve come! Join Kristin and her amazing friends and clients, for 3-days of live training that will help you learn how to rock your brand, talk, and revenue to new levels. Few things are better for your biz than a few days, in a beautiful location, totally focused on YOU, your goals, your dreams for your business. You’ll get to network with amazing people. Meet Kristin in person. Have a rip-roaring good time. Meet new promotional partners, Book new interviews & speaking gigs, hone your talk, rock your close, and more! Because Kristin wants to help you personally. You’ll be joining Kristin’s SpeakServeGrow community where you can ask questions and get support when you need it most. Here you can get yourself unstuck when challenges come your way, and celebrate every step foward too! And to help you customize the strategies for your business, give answers to your most burning questions, and clarity when you need it most…. Kristin will host two Live, Rock Your Talk Group Customization & Mentoring Sessions to support you personally along the way. Once you’re a member of the Rock Your Talk Program, you’ll receive a welcome email, and a welcome phone call too. Your email will have a link and instructions on how to join the SpeakServeGrow Facebook Group. And you’ll have your log in details to access the membership site, where you will have access to the modules & bonuses as they are released. Please know, that I’m not into tire kickers, whiners, or program “collectors”. But I am all about helping real coaches, consultants, authors, and experts get their message out into the world, to speak your mission and message, serve your purpose in a bigger brighter way, and grow your business. No more hiding. No more playing second fiddle. Your individual voice matters. Not because of ego, but because there is something special that happens when you carry the message to someone in need. Its time to finally feel the freedom of being yourself in your business.Its time to rise up, and to lead in a meaningful way, and in doing so, you will create new pathways for others to join you in success. So join Kristin in the Rock Your Talk Program, attend each training session during the first 30 days, in its entirety and show us how you implemented the action steps in your business, because we know this only works if you work it. If you’ve fully implemented what the sessions and bonus content and for some crazy reason you haven’t made any progress, we’ll return every penny of your investment back within 30 days of purchase.